September 15 through October 15 many Hispanics will celebrate their independence. Twenty different countries make up this culture and each one celebrates at a different time. Originally this was celebrated for a week and first came into existence in 1968. Twenty years later it has grown into the month long celebration we know today as Hispanic Heritage Month. This is a great opportunity to teach children about different cultures. There is a large selection of web sites for educators on this topic. Scholastic has an interactive page dedicated to this celebration. A map contains different states and countries where these individuals either orignated from or have settled. By clicking on one of the countries or states on the map a time line is revealed along with facts concerning the Hispanic people of that time period. This can be activated in another window or pulled up as text for printing. Other options include "Meeting Famous Hispanics" which includes a biography, "Latinos in History" includes specific time periods to click on. By utilizing these resource children will meet and learn about twenty six different Hispanic individuals. This facts will help to educate them in two different areas. The first is just how long these individuals have been in the United States and the second is how much they have contributed to this country. Learn about David G. Farragut a Spanish America Civil War Admiral through the years of 1801 -1870, who starts us off. Then finish with Ellen Ochoa a Mexican American, the first Hispanic female to become an astronaut. There is a concentration game to play when the cards are revealed there is a spanish word which is spoken. The only problem with this is that it is unclear as to what the word is. Teacher lesson plans are include for three different groups prek - 1st, 2nd - 5, and 6th - 8th. Each lesson is followed by the grade appropriate level to help the instructor know what to teach for each grade. A list of suggested books ranging from 1st - 8th grade exists, but most of the suggestions are for the lower to middle grades. There is a research starter which contains topics to do further research on and also contains links outside of the site for further research. At the bottom of this page click is a link which will take you to a printable worksheet to utilize while studying famous Hispanic people. Incorporating one topic into a school day where there are children of multiple ages and learning abilities can be tricking. 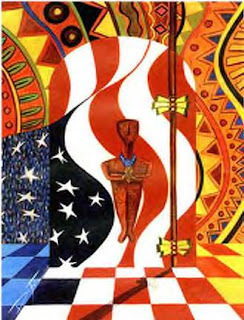 The web site "Honoring Hispanics" is a great source where educators are able to access a vast number of web sites concerning the Hispanic culture. This site contains everything from art, culture, and entertainment to business, news, politics, and more. Another site where multiple grade levels can be found is at the Montgomery County Public School web site. Web site links are grouped accordingly offering something for the pre-schooler to the senior in high school. Don't forget to always think outside the box, don't limit your teaching to the links here. Take an idea an think about how it can be made better or what else can be done with it. Think about studying the different countries which make up the Hispanic people individually. Have the children make the countries flag with craft materials such as tissue paper, noodles, beans, pom poms. Another option is to print flags out and just have them color them, or use them as a template for the craft. You can apply this same technique with the countries map using different things to represent the capitol, mountains, bodies of water etc. Other interests of study could include music, clothing, food, and art. Notebooks could be made by using a binder, one with the clear plastic on the front is nice. Children can then draw a picture or write words pertaining to the Hispanic culture. Depending on how in depth the study is a binder can be used for each country or include all of them. Please note that I did another blog on this topic with more links. Just scroll down for the list of topics to Hispanic Heritage Month for more. This site contains lesson plans for grades Prek - 12th along with links and some worksheets. This is a great posting. I applaud your non-profit efforts. Quite an accomplishment. That's one of the reason I like Hispanic Heritage month so much -- it gives us a chance to come together as a community to celebrate such accomplishments. It also gives us a chance to share important information with each other. make them on online TV star with Cristina's video, "Amigos Live!" It's a blast! Also, you can enter to win an all inclusive trip for 2 to Miami to to see the Cristina Saralegui show! Definitley check out AARP for yourself or for a relative or client. They've got some great benefits, including (but not limited to): Exclusive travel discounts, prescription discounts, retirement planning and free companion membership!